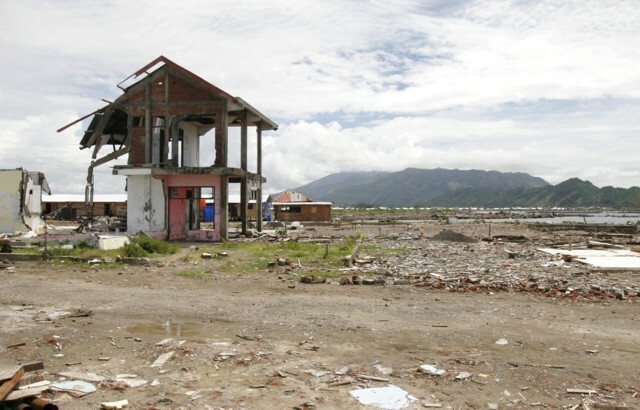 I submitted this as its has been 11 months since the tsunami and I wanted to remind everyone that theres still a lot of devestation and help needed there. wow. such a sad story. like the composition of the house, would be interested in seeing the horizon line off-center. the washed out colors seem to work with the photo subject. nice capture! This is so devestating, great captuer. I like the composition. Moving shot because of what had been. Nice shot. The sky is a bit over bright. You might have been able to correct in PS but when shooting it is a good idea to meter on the sky or brightest spot in the picture. It is easier to lighten up shadows than reduce highlights as once they are blown you can't recover them. The focus is also a bit soft. A good sharp focus on the destroyed building would have really make this picture have more punch. Proudly hosted by Sargasso Networks. Current Server Time: 04/26/2019 03:42:03 AM EDT.